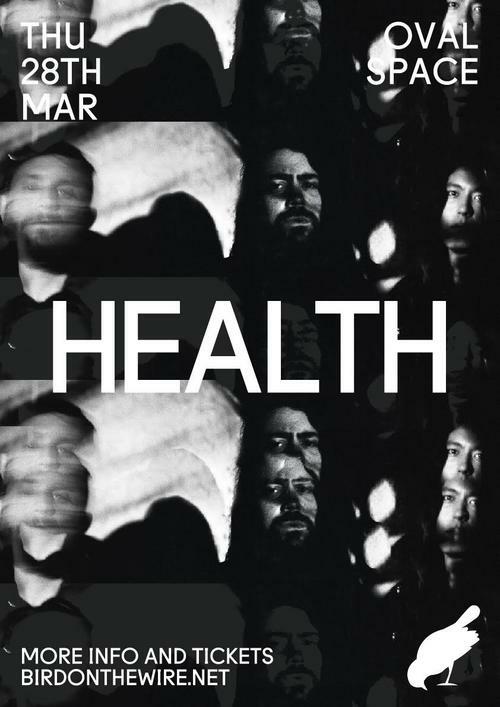 Health has played sold out shows and festivals around the world ranging from Coachella to Primavera to Austin Psychfest, and toured with Nine Inch Nails and Gary Numan. Their 2015 album, Death Magic, was released on Loma Vista Recordings. The album received critical praise from The New Yorker, Pitchfork and The FADER, while The Los Angeles Times heralded the band as "one of the city's best live acts and inventive arrangers of raw noise and eerie vocal melodies... the first hints of Death Magic suggest a new fidelity, heaviness and precision, along with a marked clarity in singer Jake Duzsik's vocals." [Listen] to their newly released single with Youth Code 'INNOCENCE', their third collaboration and most intense track yet. The track follows their recent collaboration with Parisian electronic artist Perturbator, 'BODY/PRISON', which debuted alongside a feature at The FADER, and their acclaimed collaboration with Soccer Mommy and producer Corin Roddick (Purity Ring), 'MASS GRAVE'.